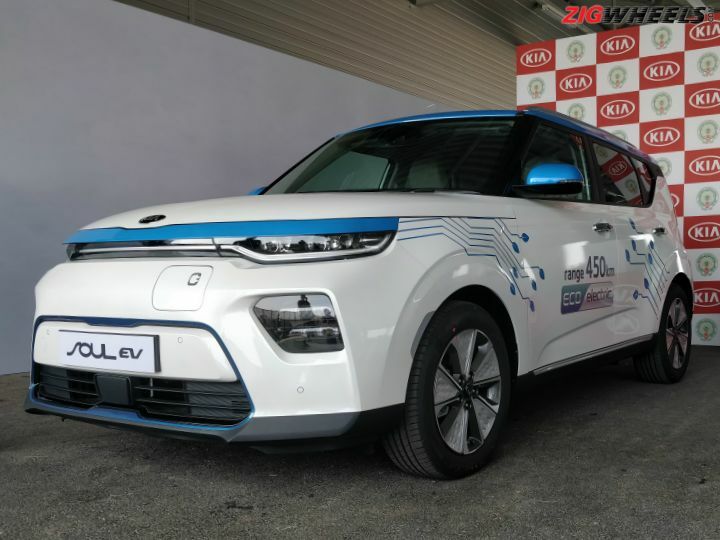 Kia Confirms No EVs Planned For India; Hands Over Soul EV To Andhra Govt. The Soul EV handed over to the AP govt. is the new 2020 model. Gets a 64kWh battery with a 450km range. The handover was a part of the government’s initiative to promote electrified cars. Kia also confirmed that it has no immediate plans to bring electric cars to India. Kia Motors India recently previewed its upcoming SP concept-based compact SUV, albeit with heavy camouflage. The company also commenced the trial production of the SP2i at its Anantapur production facility. On the same day, the Korean carmaker also handed over a Soul EV to the Andhra Pradesh government as a part of an MoU signed between the two to promote electric mobility in the state. The Soul EV was handed over to Andhra Pradesh chief minister N. Chandrababu Naidu. The Soul EV handed over was, in fact, the 2020 model which was first revealed to the world at the 2018 LA Auto Show in November 2018. The car will go on sale in Europe likely by late 2019. The 2020 Soul EV is quite a step up from the previous-gen model in terms of technology and overall range. The car handed over to the AP government boasts of a total range of 450km from its 64kWh Li-ion polymer battery pack. It is, in fact, quite similar to the battery pack that is also offered with the Hyundai Kona EV, which will be launched in India soon, but with a smaller 39.2kWh battery pack with a 312km range. The Soul EV packs a healthy punch with 204PS and 395Nm on tap from the electric motor. The Soul joins the three electrified Niros as a part of the AP government’s fleet. However, if you’re planning on saving for the Soul EV, we have some bad news for you. Kia India sales and marketing head, Manohar Bhat clearly stated that though the Anantapur facility has electric production capability, the company has no plans on bringing a fully electric car to India in the near future. The apprehension is mainly due to the lack of charging infrastructure and the fact that India still makes most of its power from fossil fuels, mainly, coal. However, the company does have PHEV products as well which could be a good stepping stone to familiarise the Indian market with electrified vehicles. Finally, Kia might not be bringing EVs yet, but it does have other products planned for India. SUPER LOOKING SIR AND MAM SUPER MODEL CAR I AM FULL INTERESTED BUT I DO NOT HAVE MONEY IF THERE IS A FREE SCHEME,SIR PLZ MY NAME ADD. SUPER LOOKING SIR AND MAM SUPER MODEL CAR I AM FULL INTERESTED BUT I DO NOT HAVE MONEY IF THERE IS A FREE SCHEME,SIR PLZ MY NAME ADD. Share your experiences with Soul?